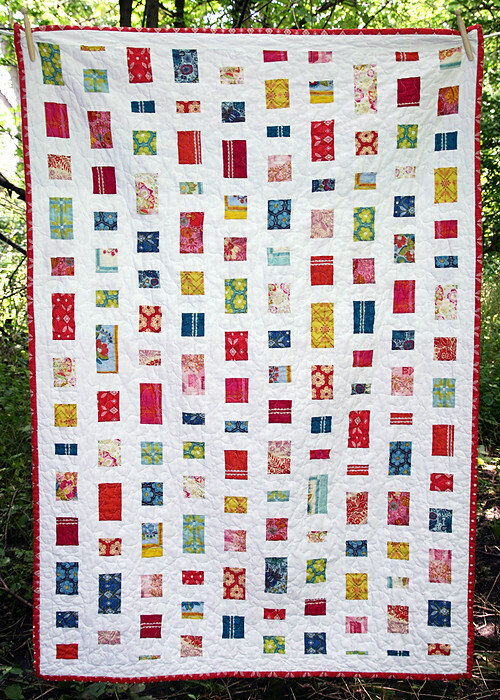 This quilt was inspired by the "Just Sweet Enough" quilt in the book Last Minute Patchwork + Quilted Gifts by Joelle Hoverson. The version in the book uses soft almost-solids and wider white sashing between columns. But when I saw it I was struck by it's beauty in simplicity. 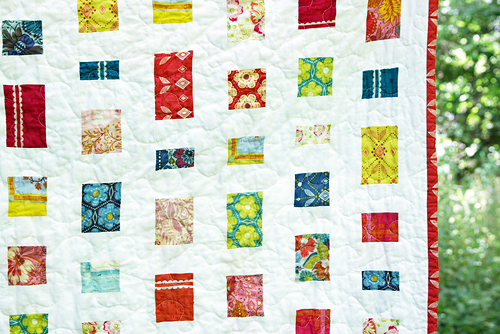 It is similar to a coin quilt. 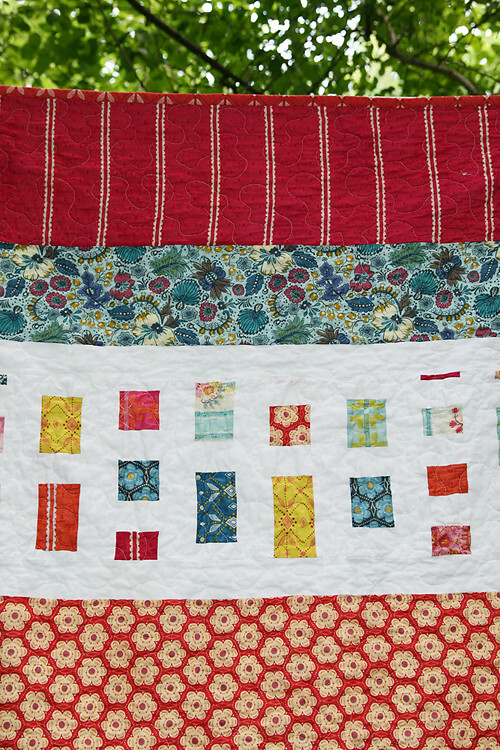 I had a pretty good variety of Anna Maria Horner's Little Folks fabrics and thought something similar would be a great way to showcase those tiny prints. I'm not sure anyone can resist the softness of these voile fabrics. They have such a luxurious feel to them....almost like silk as I move them from the washer to the dryer. The rectangles are cut in random lengths, with a width of 2.5". The white rectangles between them are 2" x 2.5". The white columns are 2.25" wide. 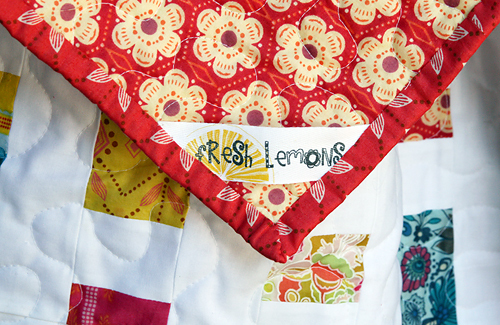 It is quilted free motion with Dream Cotton Request Loft batting, leaving it completely lightweight and crinkly. 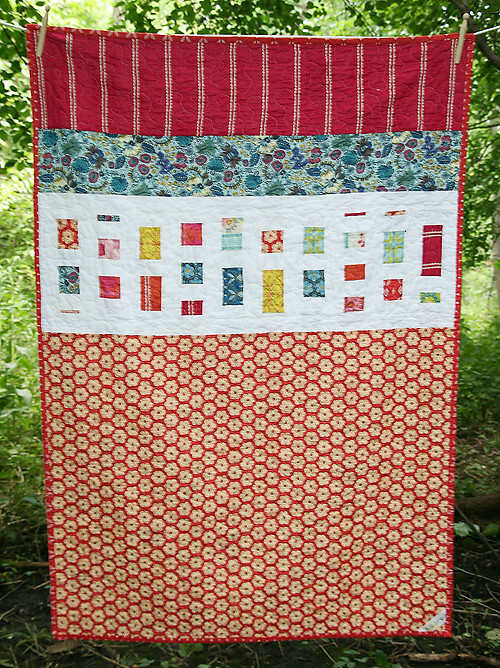 It measures 36" x 54" and is available in my Etsy shop.